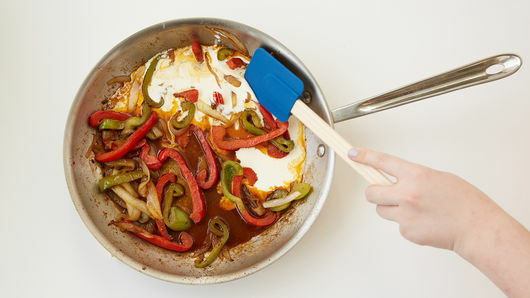 In 12-inch nonstick skillet, heat 2 tablespoons of the butter over medium-high heat. Add bell pepper, onion and 1 teaspoon of the Cajun seasoning. Cook 7 to 10 minutes, stirring frequently, until tender. Add garlic; cook 30 to 60 seconds or until fragrant. Transfer mixture to plate. Add remaining 1 tablespoon butter to skillet; melt over medium-high heat. 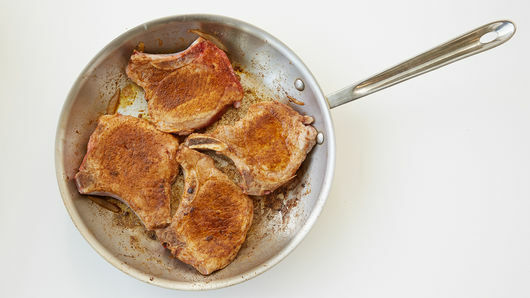 Season both sides of pork chops with remaining 2 teaspoons Cajun seasoning. Add to skillet; cook 2 to 3 minutes, turning once, until browned. Add chicken broth and vegetable mixture to skillet. Reduce heat to medium; simmer 8 to 10 minutes or until pork is no longer pink in center (145°F). Remove pork to rimmed serving dish; cover to keep warm. Stir whipping cream into vegetable mixture, and cook until heated through; transfer to serving dish with pork chops. Serve warm with rice. 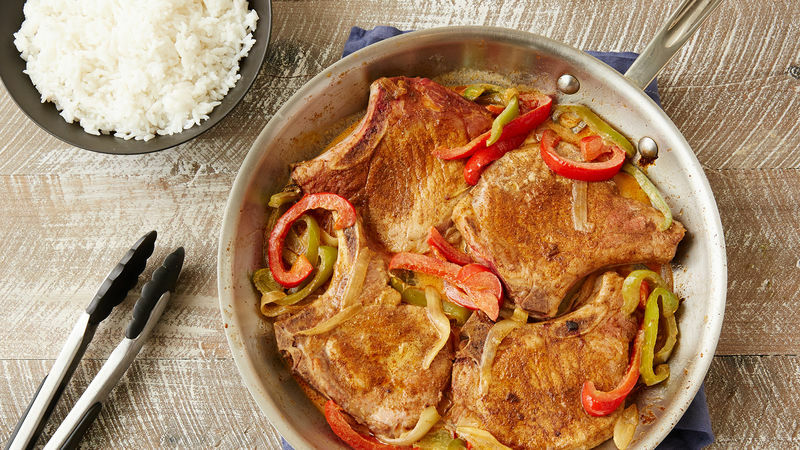 Bone-in pork chops tend to be more flavorful and tender than boneless. We used McCormick™ Perfect Pinch™ Cajun seasoning. Cajun seasoning varies in heat and salt levels. If your seasoning doesn’t have salt, be sure to salt your dish to taste. 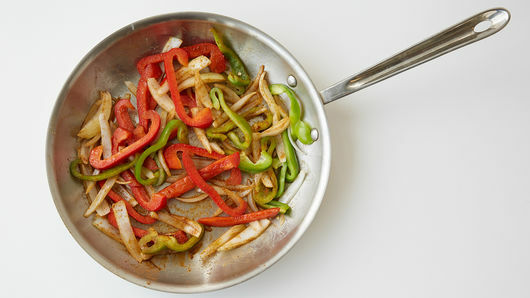 Use a mixture of red and green bell peppers for a colorful vegetable mixture.